Toggle the Filter icon for more search options. Shellfish farming is still a small business in Alaska. Tools and information for getting started with a shellfish business, as well as financial management and business assistance are provided. Provides information and resources to Alaska's fishermen, processors, and marine-related businesses, including shellfish farmers. ASMI is a partnership between the State of Alaska and the Alaska seafood industry that fosters economic development of a renewable natural resource. ASMI is playing a key role in the repositioning of Alaska’s seafood industry as a competitive market-driven food production industry. Shellfish farmers can customize a business model or track operations using revenue, sea survival calculations, production costs, processing costs, labor, utilities, miscellaneous fixed costs, equipment, and loan calculator. Shows an example of cash flow on an Alaska mussel farm. Presentation on business concept, management capabilities, corporate structure, operational/production considerations, competitive analysis, marketing plan, financial projections, sales forecasts, cost assessment, and capitalization requirements. Presentation on product price setting showing Alaska oysters as an example. Provides descriptions and examples of the eight major types of ratios used in financial analysis: income, profitability, liquidity, working capital, bankruptcy, long-term analysis, coverage, and leverage. The shellfish industry in Alaska has shown inconsistent growth over the past two decades and remains a niche industry of small farms under five acres. Sales grew by 37% in 2013, but the total value of the industry was $769,145. 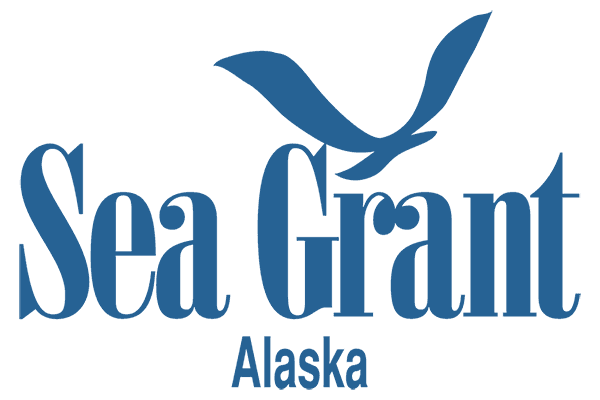 A report on Alaska Fisheries Development Foundation work based on a NOAA grant to spearhead the Alaska Mariculture Initiative to: (1) expand the mariculture stakeholder base, create partnerships, and increase capacity to be effective; and (2) develop a strategic plan including implementation. Business management encompasses management of the entire business operation and includes production/operations, marketing, and financial management. Financial management is the act of tracking sources and uses of funds, net worth status, and cash flow position. Presentation. A shellfish condition index is mathematically derived by including more than one measurement on a shellfish. The index is used as a measure for comparison between two different shellfish or groups of shellfish to some standard. Presentation on business planning, financial building blocks, balance sheets, assets, liabilities, equity, income, tax, retained earnings, cash flow, liquidity, activity, profitability, writing a business plan, and pro forma. This publication takes the fisherman or farmer through the needed steps toward direct marketing—writing a business plan, projecting cash flow, and calculating a "variable analysis." Knowing the numbers before entering into direct marketing, or whenever you change your operation, will help you make the right decision. Writing a business plan can be a time consuming and expensive proposition. Individuals approaching this level of financial and time investment may save money by scoping the idea with a few simple steps. Each of the steps fit nicely into a business plan should you decide to move forward. One of the simplest methods to estimate farm value was developed in 1925 by Ralph Badger: Valuation of Industrial Securities. Badger set up a system for identifying risk. This publication outlines the basic building blocks for financial management for fishermen, including bookkeeping systems and accounting methods. All fishermen, even those who hire an accountant to keep the books, will benefit from mastering the basics of financial record-keeping. SFOA is a simple user input program designed in Microsoft Excel. The entire workbook consists of nine sheets. The pro forma sheet is the final product. Pro formas are statements of projected revenues and expenses for planning purposes and presentation to a bank or other financial institution when seeking financing. Presentation emphasizing good accounting, knowledge of deductibles, and familiarity with tax schedules and depreciation forms. Presentation explains a business plan and when one may be needed. A business plan can help determine if your business idea will succeed or fail before you invest lots of money. Presentation focuses on entrepreneurship, self evaluation, strengths, weaknesses, opportunities, threats, investment, timeline, calculations, break-even analysis, and business environment review. Presentation focuses on marketing strategy, market segmentation, marketing research, branding, product, promotion, price, placement, and the marketing chain. Presentation with review of assumptions and calculations—profit and loss statement, plan development, seed cost and value production, long line cohort cycle, equipment costs, annualized depreciation, and pro forma. Oyster buyers were surveyed to identify preferences and trends, to assess market opportunities, and to consider implications for cooperative development of oyster farming. Presentation. Results of a study on quality and condition of Alaska grown oyster by region. Information on markets and market trends. Reports written twice yearly in the 1990s and 2000s. This research examined the importance of different attributes of Alaska oyster product in the marketplace. Seafood businesses handling oyster products were surveyed to determine the relative importance of attributes such as oyster size, seasonality, and vendor integrity. The research also analyzed whether any of the survey findings had important implications for the future development of cooperatives by oyster producers. Tables and graphs for an Alaska oyster farming feasibility study.